BrytinTM Professional Chinchilla Feed was formulated in collaboration with PhD nutritionist, and world renowned chinchilla breeder Jim Ritterspach. Brytin Professional Chinchilla Feed is being made available to chinchilla enthusiasts worldwide, so that they may use the same proven formula that is used to produce the famous high quality chinchillas. - Vitamin K is needed for blood clotting. Chinchillas should be able to make all if its b-complex vitamins in the hind gut but we add them as an insurance policy. When the animals are stressed, they tend not to have a hind gut working at 100%. - Kelp is a natural source of organic minerals including iodine. B vitamins help to optimize hind-gut function and better allow chinchillas to handle stress and recover. Declare: The formulas for the 40719 Brytin Chinchilla pellets which manufactured by Hubbard Feeds but not exact the same formulas as Hubbard Life (which replaced the Tradition) chinchilla pellets. This feed is professional pellet mainly for chinchillas and with add vitamins and minerals recommanded by Jim Ritterspach. Brytin Rabbit 18 supports young rabbits in achieving a strong start in life, and helps them achieve 'bloom' for show competition. Additionally, Brytin Rabbit 18 provides key nutrition for pregnant and nursing does, and active breeding bucks. 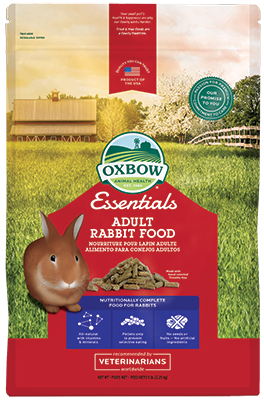 This feed formula is also appropriate for stressed or aged rabbits in need of a higher protein diet. Brytin Rabbit 18 has been carefully formulated by PhD nutritionists with the goal of optimizing rabbit wellness through applied science and practical experience. Brytin Rabbit 18 combines select high quality ingredients with a proprietary blend of macronutrients, micronutrients, probiotics, enzymes, and natural fatty acids. Brytin Rabbit 14 supports mature rabbits in maintaining ideal body condition, long term health, and in achieving 'bloom' for show competition. Brytin Rabbit 14 has been carefully formulated by PhD nutritionists with the goal of optimizing rabbit wellness through applied science and practical experience. Brytin Rabbit 14 combines select high quality ingredients with a proprietary blend of macronutrients, micronutrients, probiotics, enzymes, and natural fatty acids. A lactobacillus acidophilus product developed to provide the colony forming units needed to ensure the beneficial bacteria needed for proper digestion. Each gram provides 10 million colony forming units of viable lactic acid producing. This product supports a healthy digestive system and may prevent stress induced diarrhea. Naturally-occurring lipid-encapsulated microorganisms for small animals. Contains Omega 3, DHA , pre-biotics & pro-biotics! A nutritious, high-diversity diet designed specifically for Dwarf Hamster species in all life stages. Exotic Nutrition's Glider Complete is a nutritionally fortified pellet, along with 8 varieties of real fruit chunks. It is now easy to offer your Sugar glider a varied diet that contains high animal proteins and fruits without the hassle of mixing and cutting. We combine a high-protein pellet with the correct amount of vitamins and minerals to give your Sugar Glider exactly what is needed for proper growth and development. Some of the diversified ingredients in Glider Complete include papaya, pears, golden raisins, pineapple, apples, peaches, blueberries, apricots, honey, and bee pollen. See link below for full product ingredients and analysis. Exotic Nutrition's Monkey Biscuits can be fed to New world & Old world primates as part of a complete diet, as well as to Sugar Gliders and Prairie Dogs as a partial diet. Crunchy and excellent for inhibiting excess tooth growth, highly nutritious. Monkey biscuits can be fed to Sugar Gliders and Prairie Dogs, but should be fed along with a high fiber pellet diet. Especially useful as a protein source for young Prairie dogs. Many glider owners soak the monkey biscuits in apple juice or water before offering. Exotic Nutrition�s Insect Eater Diet TM (12 oz.jar) is a fortified, balanced diet containing all natural ingredients. New & improved...moister product. Specifically designed to be easy to feed, and provide optimum nutrition for Sugar Gliders, Hedgehogs, Skunks, Opossums, Armadillos, Coatimundi, Bearded Dragons, Marmosets, Capuchins, Reptiles, Birds, and other insect eating mammals. In their natural domain, insects are a primary food for Sugar gliders, Hedgehogs, Skunks and other insectivores. Insects are very high in protein, so it stands to reason that feeding a diet that includes insects would be beneficial for optimum nutrition and breeding programs. ZuPreem® Premium Ferret Diet is a nutritious, highly digestible diet designed to meet the complete nutritional needs of ferrets.